WHY FLY THE SILVER FERN? Quite simply, A flag is meant to be flown. Flags should be highly visible symbols of a nation's presence. A visit to any town in the USA or Switzerland, for example, shows what happens when a flag is an emotional symbol. The New Zealand flag needs to have emotional symbolism in order for it to be embraced and used by New Zealanders. A flag needs to be instantly recognisable, test after test shows that the current New Zealand flag is immediately confused with flags of other countries, especially Australia. In many instances, a flag is used in an international context. There is no question that the Silver Fern is the most recognised symbol of New Zealand. For over 150 years the Silver Fern has been the symbol of our nation and of our sports men and women. 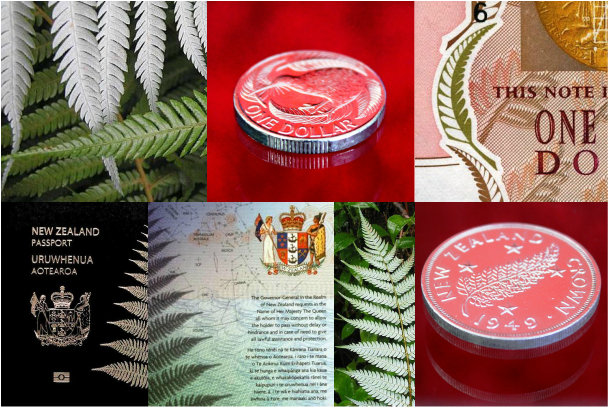 The Silver Fern is used extensively as a symbol by Government, tourism, trade organisations and commercial brands. it's on our money, it's on our passports, it even appears on our war medals. The Silver Fern says "Aotearoa - New Zealand". The Silver Fern Flag gives us an opportunity to tell the world who we are, and there are growing number of people today, especially our younger people, who believe that the Union Jack does not completely symbolise New Zealand. Our present colonial ensign suggests we are still a subordinate colony to mother England. 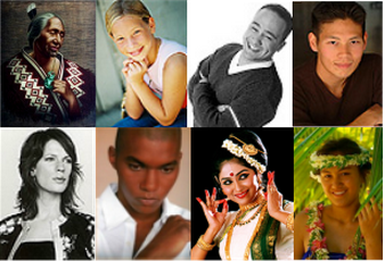 It doesn't fully represent our modern and progressive multicultural nation. The Silver Fern Flag. the official Preferred Alternative New Zealand Flag, is a design that represents all New Zealanders. Of the 55 Commonwealth countries, New Zealand and Australia are the only two which retain British Blue Ensigns as their national flags. New Zealand’s flag has changed five times since 1834, Our present flag was only officially adopted in 1902. It is usual for national flags to be updated from time to time as a nation evolves. The latest version of the Canadian flag dates from 1965, South Africa 1994, Spain 1936 and the United States 1960.